The entertainment industry has many abnormalities as pertaining to some of the practices that abide within. Though Nothing more unscrupulous than some the players in this high stake game for money and power. 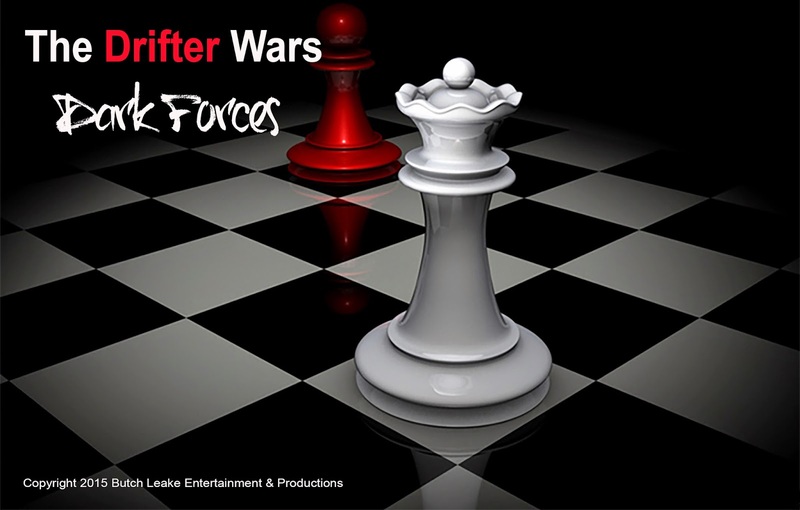 The ongoing Drifter Wars continue to reveal the lengths at which people will go for the treasures that are at stake for the winners. Currently, the global proliferation of Drifter shows has risen to a feverous level of participants from every quarter. The rise in tribute acts and outright pirate operation has for the most part completely swamped the legitimate acts in the marketplace. Who would even believe that the lengths that some of these acts and their handlers would even extend to The US White house Yes! the white house and the then President Bill Clinton and First Lady Hilary Clinton were entertained at their inaugural ball by these fraudulent operations. Recently a new promotional video showed up on youtube advertising the 2015 US tour of the Drifters. It reports legitimate members are back in the saddle with a series of clips showing past shows including that of performances to the US President, all by bogus Drifter groups with a couple of legitimate member clips thrown in between. This video seems to be in direct response to the Treadwell / PMG video advertising the 2015 Drifter rebranding tour which was just launch in the UK. This charade of bold declaration and use of the trademark name hovers with the order of Dark Forces behind the scene of front men and smoke and mirrors to disguise the culprits. We will be monitoring this recent development and report the findings as they surface. Though legal sales of recorded music continue to suffer from widespread music piracy, the popularity of live music appears to be enjoying an unprecedented boom. Licensing and live music are now the principal sources of revenue for musicians, not recorded music sales. Superstars through their 360 deals with their recording labels can generate 95% of the performance income from touring. It is hard to ignore that ticket prices have increased, particularly among superstar performers though opinion is divided on why. There are many questions that arise from seeing how the relationship between live music and recorded music has changed, where undoubtedly it seems that recorded music now drives sales of live music and not the other way around. This is something worth examining in detail, especially in how it relates to music piracy. in one study it has been observed that exposure to recorded music (whether acquired legally or illegally) motivates concert attendance. Yes! piracy has a negative effect on certain parts of the music industry but has its benefits when it comes to live music.It can be said that there is a direct relationship to the increase in ticket sales due to piracy in that the industry makes up for its losses in recorded music sales. The other variable is in ticket scalping which has had a great effect on the cost of seeing your favorite artist. This secondary ticket market, largely facilitated by the internet, exploits fans' desire to see their favourite artists and the fact there are only limited tickets available for any given performance. A practical view of intellectual property piracy! The term “intellectual property piracy” may be defined as the unauthorized use, distribution, and/or sale, for commercial gain, of material or works in which the Intellectual Property rights belong to another. The phrase “intellectual property rights” generally refers to the proprietary rights which benefit the creator or authorized owner of a trademark, copyright, patent and/or an industrial design. "Piracy" includes the reproduction and distribution of copies of copyright-protected material, or the communication to the public and making available of such material on on-line communication networks, without the authorization of the right owner(s) where such authorisation is required by law. 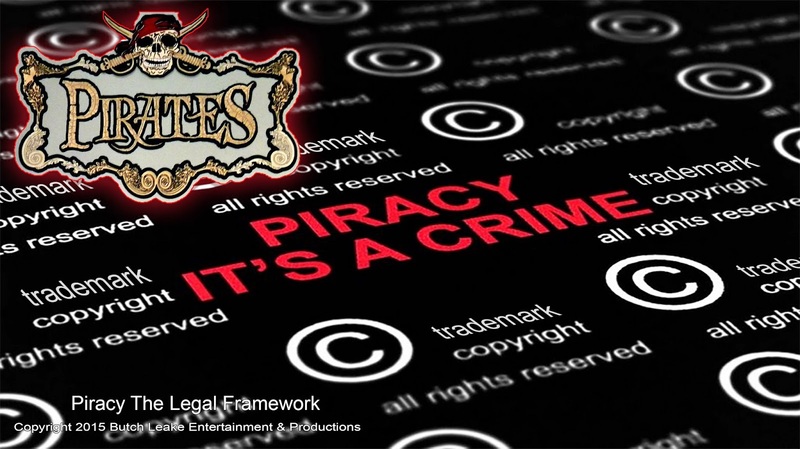 Piracy concerns different types of works, including music, literature, films, software, video games, broadcasting programs and signals. "Pirated copyright goods shall mean any goods which are copies made without the consent of the right holder or person duly authorised by the rightsholder in the country of production and which are made directly or indirectly from an article where the making of that copy would have constituted an infringement of a copyright or a related right under the law of the country of importation". Traditionally, piracy concerned the unauthorised reproduction and distribution of physical copies of protected works, on a commercial scale or with a commercial purpose. However, the rapid development of the Internet and the massive unauthorised on-line use of protected content, where the "commercial" element is often missing, have given rise to a lively debate. The question whether such use constitutes "piracy" and should be treated in the same way as traditional piracy is at the heart of the current copyright debate. Different, and often diverging, points of view are being put forward and the answer to the question differs from one country to another. Within the entertainment industry, there is a growing market for tribute acts. This expanding phenomena is growing by leaps and bounds on both sides of the Atlantic and has in many ways become the prime source of revenue for many agent, promoters, and upstart artist. The question one might ask is where do these acts cross the line when it becomes obvious an invasion of copyright and trademark rights is apparent. According to wiki Pedia A tribute act is a music group, singer, or musician who specifically plays the music of a well-known music act - sometimes one which has disbanded, ceased touring or is deceased. Probably the largest class of tributes acts is Elvis impersonators, individual performers who mimic the songs and style of Elvis Presley. However, most tribute acts are groups (tribute band or tribute group) and are tributes to a group. For example, The Iron Maidens are an all-female band that pays tribute to Iron Maiden. A tribute band does not include members of the original band whose music is being honored. If a member is included in a band performing the music of their original group, the band is seen as a spin-off band rather than a tribute band. However, guest appearances do occur. Many tribute bands, in addition to playing the music of an artist or group, also try to emulate the vocal styles and overall appearance of that group, to make as close an approximation as possible. However, in some cases the tribute act consciously introduces a twist on the original act. For example, Dread Zeppelin plays Led Zeppelin songs in a reggae style with a lead singer dressed up as Elvis Presley while Gabba performs the songs of ABBA in the style of The Ramones. Then there are the pirate outfits who maliciously take the name of original groups and unsuspecting to much of the public past themselves as the real article claiming to have members that have served in a given period with the group. This growing scourge has become lately a serious problem for many of the great acts who have come out of the early years such as the 50s 60s and 70s. You might call it and outright looting of the fortunes that should have gone to the real members of these acts, yet help none other but the looters themselves. 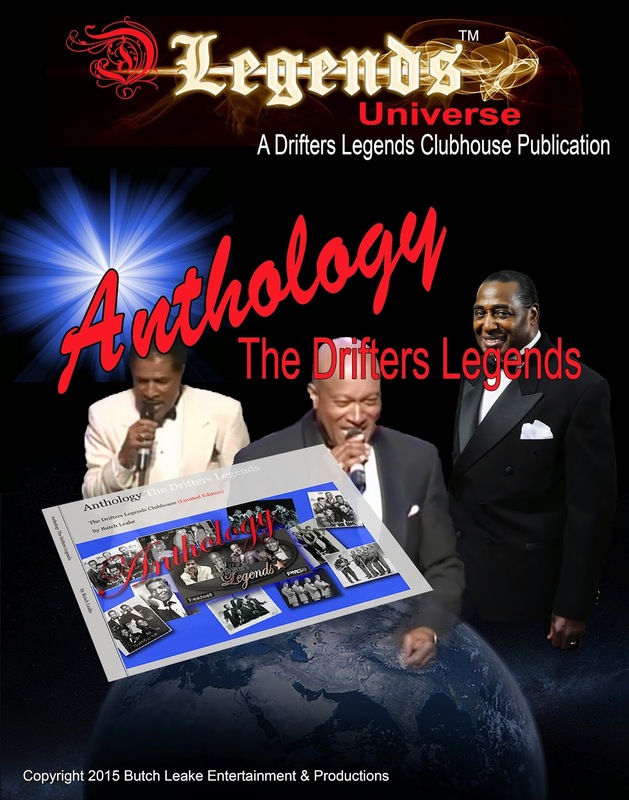 Try and picture musical groups such as The Drifters who over the years have had as many as 60 members or more. Out of this, a number of spinoff groups have emerged. From this scores of hybrid acts from which the only claim is they worked with an original member or had some association. They now tote the title Tribute yet Tribute is in small letters and The Drifters is posted boldly on their promotional material. Then there are the outright pirates who with no regards for trademark rights and false claims being that of one or more of the members within the historical line of the act hoodwinks the public into thinking they have legitimacy.This is nothing but piracy.